Nestled in a national park. Minaret Station is everything you could want in a remote wilderness retreat. You can’t drive there, or reach it by boat. You can’t drop in by fixed wing plane, or realistically even walk there. But you can arrive by helicopter, as everyone else does. Minaret Station is a family-run lodge, and part of a vast working sheep and cattle station that starts down on the flat land around the shore of Lake Wanaka. Flying from the flats up through the narrow valley, the country changes quickly from grassy farmland to gnarly, stunted trees and then alpine tussock. Giant rock faces loom high above and entire mountains appear before us as the helicopter flies up the wild steep gorge. Suddenly a bowl-shaped valley opens ahead and the lodge appears as tiny dots in the distance. We cross the valley and drop quickly on to the helipad beside the main lodge building. 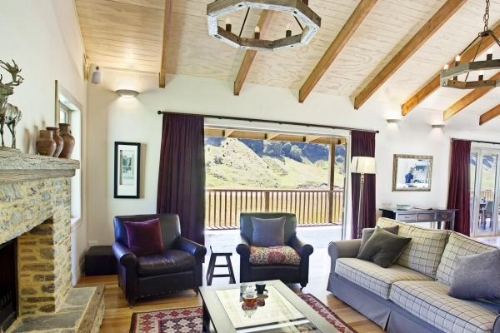 Accommodation here is in luxurious mountain chalets - designed and fitted with some lovely New Zealand features like the woollen rugs (from sheep on the property) and earthy alpine tones, they are cosy and inviting. The view out every window is stunning, and the chalets are connected to the main lodge building by sturdy wooden boardwalks. 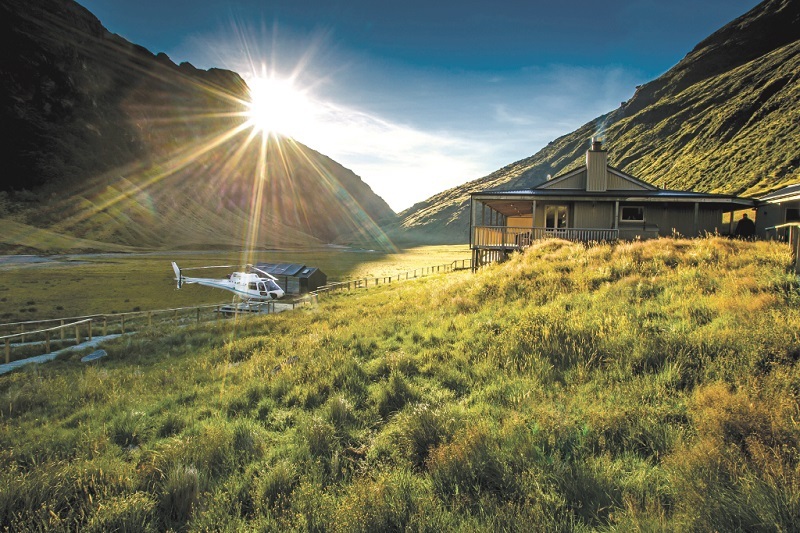 the Mountain Kitchen is also available as a day venue, with helicopter transfers departing from Queenstown or Wanaka. The day can be spent at the lodge and around the farm. A three-course lunch with beverages is served in the middle of the day. 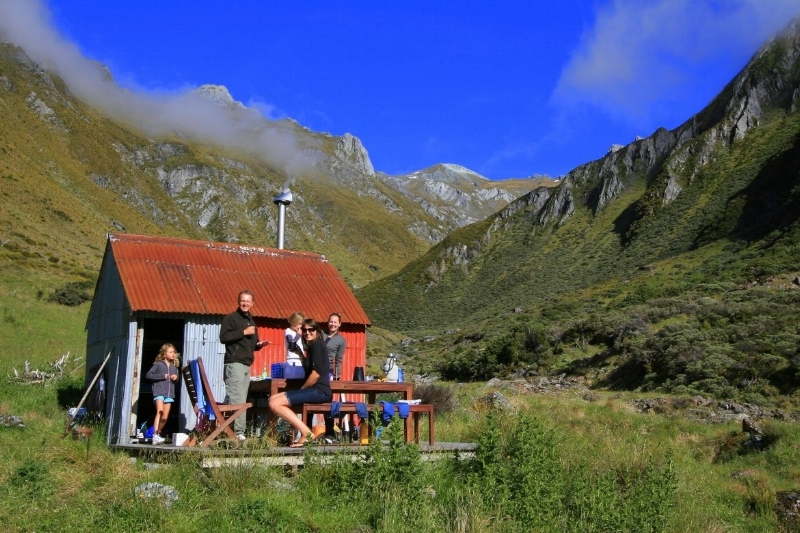 Enquire about a Mountain Kitchen Lunch day trip. 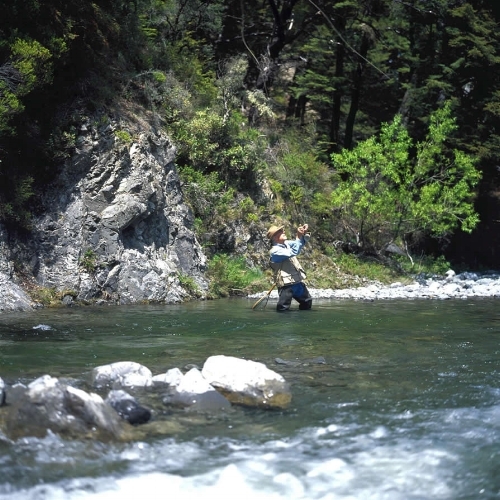 sea fishing is also available by helicopter to the fertile fishing grounds off the West Coast. Join a charter boat to catch bluenose, grouper, kahawai and blue cod.